Leo Messi has returned to the Argentina side and Carles Puyol, the former Barça defender, has once again praised the quality and commitment the magician has for representing his country. 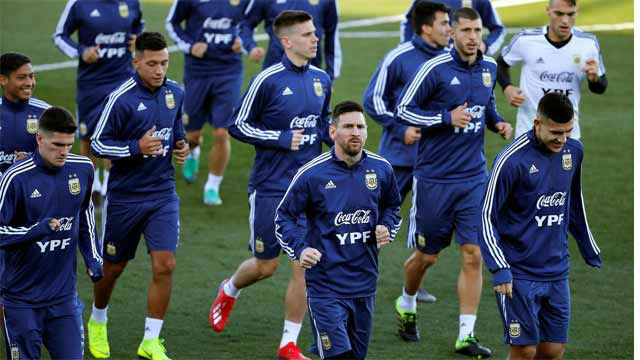 "The fact Messi's returned to the national team is great news for Argentina and for football lovers. The more matches we see from Messi, the better, because it's a delight to watch him play." "It's incredible how they much they live for football in Argentina," added Puyol. "I understand how they might get angry with their team but they can't place all the responsibility on Messi. For me, he's the best player of all time but one person alone can't win anything." And whilst Leo has won a gold medal with Argentine, Puyol is in no doubt that Messi wants to win something greater. "I believe that Leo plays with the same intensity for Argentina that he does with Barcelona. I know how he feels about his national team, it's everything, he can't wait to win a trophy with the national team. The others need to help him out."